On this day in 1577, Christian IV of Denmark was born. His reign lasted for nearly 60 years, making him the longest reigning Danish monarch in history. Christian IV was born on April 12, 1577 at Frederiksborg Castle in Denmark to King Frederick II and Sofie of Mecklenburg. He was the third child but eldest son of the couple. Since Denmark was still an elective monarchy at the time, Christian was not automatically heir to the throne. However, when he was 3, his father had him elected Prince-Elect and named successor to the throne. When his father died in 1588, Christian succeed to the throne at just 11 years old. His reign saw Denmark through numerous wars, most notably the Thirty Years’ War. His reign was also noted for the promotion of trade, support of arts, and prolific construction of new buildings and cities. 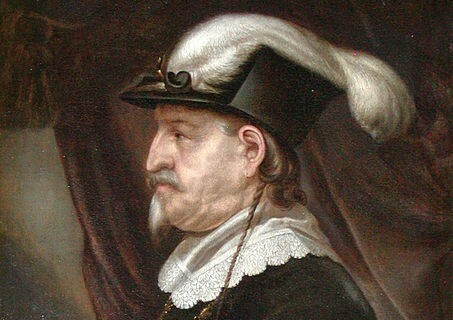 He died on February 28, 1648 at the age of 70.